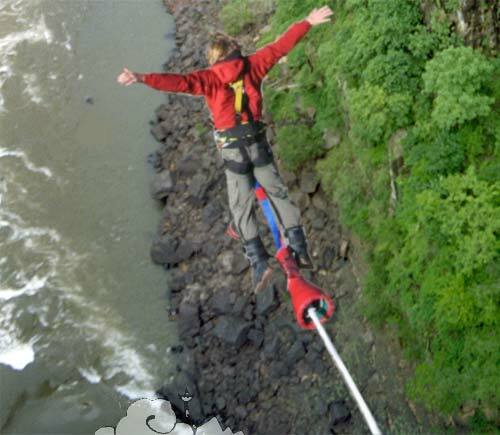 Try a 160m bungee jump, Nepal’s highest, navigate the high ropes course or take a swing – you jump off the 160m high suspension bridge, free-fall 100m before the twin lines swing you 240m at 150 kph – in a canyon over the Bhote Kosi (river) (3 hours from Kathmandu). We can take you on a day return trip or book you in here for a night or two. 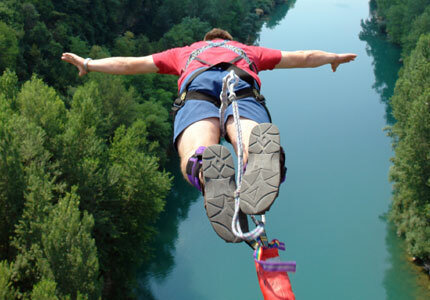 NB A day trip from Kathmandu including the swing or bungee and the high ropes costs 85 Euros (approx US$ 95). 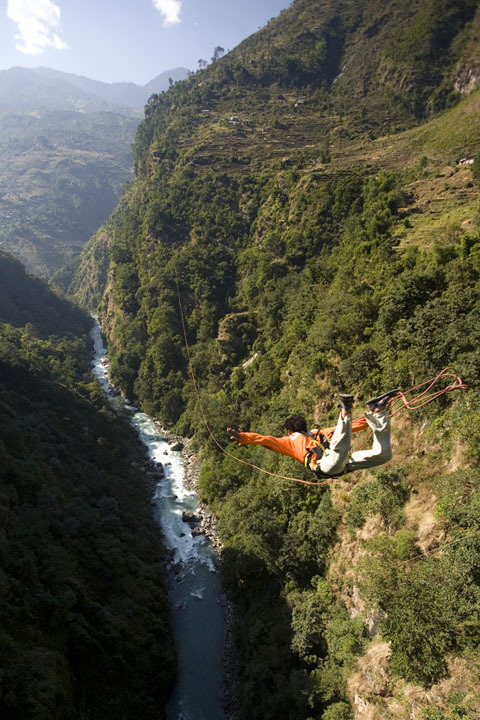 As an alternative the world’s highest ‘water touch bungee‘ is now open 20 minutes journey from Pokhara. 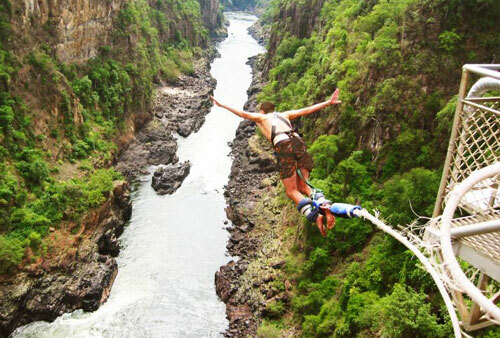 The jump is from a tower extended 30 metres above a 50 metre cliff over Lake Fewa. The total height jumped is just over 70 metres. The price is approximately US$ 64.50.